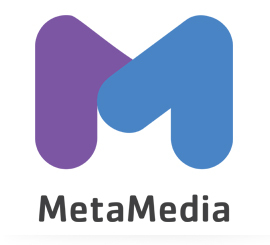 MetaMedia is a FREE digital media centered and maker education program designed for middle-school youth. MetaMedia increases access to technology and skilled mentors, allows the exploration of passions and projects, and empowers youth in a safe community atmosphere. Throughout the year, we provide a variety of programs to meet the interests of all middle-school youth. Year-round. Youth from 6th to 8th grade can take advantage of our space to interact with high-level technology. Expert mentors involved in various creative fields expose youth to our philosophy. We support youth in all their interests and help them build a foundation for lifelong intellectual, social, and emotional experimentation. There is no need to enroll. Makers will further MetaMedia’s ongoing investigation into urban gardening. They will look at the technology and strategy behind growing food in a city environment, as well has the best ways to go about eating it. Battle Bots! Drone Racing! Robo Joust! Over the course of two weeks, makers will learn the basics of robotics through their creation, coding, and applications. This will be done through a series of competitive challenges. In two weeks, Maker’s will design and create a mini arcade. Then they’ll spend a solid amount of time giving it a thorough test drive. This program uses hands-on STEAM learning to transform middle school youth into emerging makers, designers, and entreprenuers based on a community issue. Click here to fill out an interest form. We will contact you with registration follow-up details. Northwestern University’s Science Club programs encourage the development of skills such as experimentation, critical thinking, and problem solving. Learn how to get the most out of your devices and maximize your ability to use and enjoy today’s hottest technology! A 2-hour private lesson is only $130 for members! For more information, contact Kat Maka. > This is your space. You hold the power. Come share, showcase, and amplify your work. Embrace failure. Be a creative and critical producer and thinker. Take risks to be yourself without judgement. Explore your identity. Discover what’s on the edge. Build possibilities with other ‘insightful’ and ‘inciteful’ youth.